Your flight should be the start of your vacation, not a daunting hurdle to overcome before you arrive. To end the hours of restless flying, we've partnered with Emirates Airline to show why even Economy Class can feel like a treat. 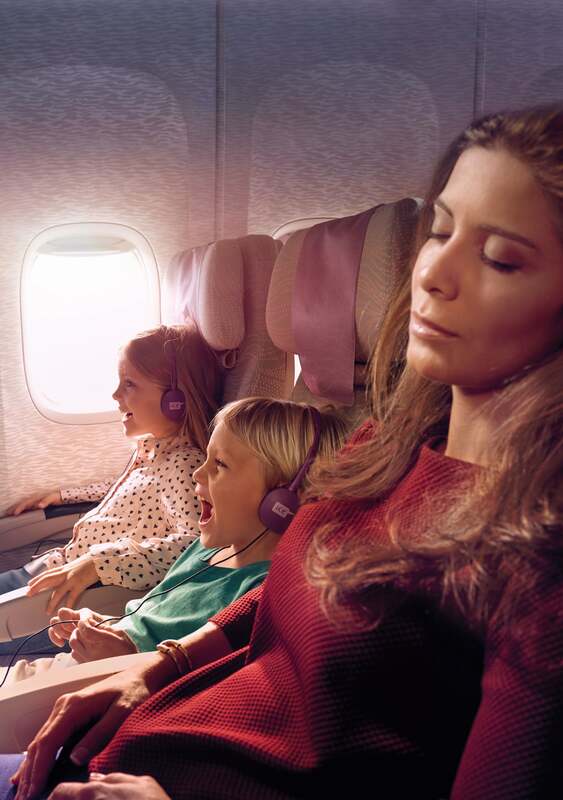 Unless you're a master sleeper, you've probably been plagued by boredom and restlessness on a long flight. And if you've flown in Economy Class, then you understand how anticlimactic it can feel to be seated in the second half of the plane. But, thanks to one standout airline, those days are about to end — and we really mean it. With endless entertainment options and amenities like you've never seen before, Emirates Airline has answered our long-awaited prayers and come to the rescue of jet-setters across the globe. Ahead, we're sharing every luxe feature of their international flights that will permanently change your flying standards and make you love a long flight like never before. Three words: interactive amenity kit. Besides your standard airplane necessities — earplugs, an eye mask, and a toothbrush, for example — Emirates takes it one step further with a pair of socks to keep your feet warm and comfy. But to truly prove that they're the reigning steel bird in the sky, these unique kits were made to be connected to a coordinating smartphone app. Once all synched up, travelers will find a world of entertainment options to suit their personalities. From an interactive doodle feature for the artsy girl to wellness tips for the one who's obsessed with mindfulness, there's something for every passenger to unlock. By now, nearly every airline offers on-demand entertainment that's ready to watch at your leisure. In most cases, however, the limited options can leave you flipping through the same titles for hours. 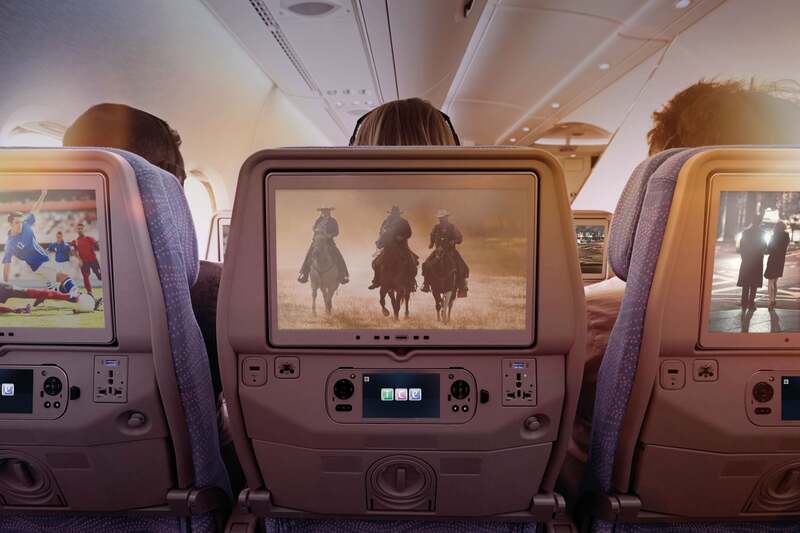 On the back of each Emirates Economy seat, travelers have access to over 2,500 entertainment channels at their fingertips. Measuring up to even the most popular of online streaming services, any binge-watching champion or movie nerd will be impressed with this selection. And if music is more your style? Don't worry, your screen is stocked with an equal range of tunes, so you'll never worry about forgetting to make a playlist before boarding. No matter how exciting your in-flight options may be, we all deserve a little time to sit back, relax, and refuel for all that awaits at touchdown. When it's time to get some much-needed rest, you'll love to know that your seat is perfect for lounging in. Spacious leg room and a comfortable seat will pair perfectly with your noise-cancelling earplugs and ready-to-use eye mask. Even Moms will be able to take a break while their kids doze off or stay occupied with entertainment options that are just for them to enjoy.